Many existing alarm systems rely on traditional phone lines to send alarm signals to our 24/7 Monitoring Stations. We see a trend that 1 in 4 homeowners no longer have home phone lines and instead only use their cell phones. With today's affordable cell phone service, a home phone line is no longer a necessity and an easy way to save some cash. 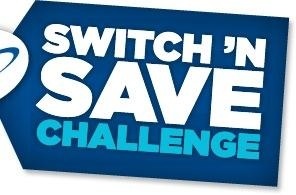 In fact, you can SAVE $30 every month depending on your home phone provider. An ALARM.COM GSM/3G radio can be added to most modern alarm systems. We have some great deals if you need to upgrade. Whether you already have an alarm system with another company and would like to a SWITCH & SAVE or would like to arrange for a NEW INSTALLATION, all new clients are eligible for a *FREE UPGRADE to Simon XTi alarm system. Video Analytics is a generic term used to describe computerized processing and analysis of video streams and is used for a variety of tasks. Video Analytics automatically monitors ReedHD Smart Cameras and sends you real time alerts of pre-defined events. Instead of waiting passively, you can now TAKE ACTION. Quickly pay for themselves Are less costly than private security guards - Do the math. How much do you spend per month for private security guards? Can the costs be reduced by implementing ReedHD Smart Cameras? You may consider using both. Are less costly and lower maintenance than dogs - Dogs are a great deterrent. They're also messy and can be easily overcome with poison. Are less costly and more effective than relying on a human operator - Various research studies and real-life incidents indicate that an average human operator of a surveillance system, tasked with observing video screens, cannot remain alert and attentive for more than 20 minutes. Moreover, the operator’s ability to monitor the video and effectively respond to events is significantly compromised as time goes by. Search by time, camera groups, rule violation type, object type, etc. Once an event is detected by ReedHD Smart Cameras it's time to take charge. One Way Talk Down - Loudspeakers are installed at the premises. You can talk down to the premises from your smartphone. "HEY - YOU IN THE BLACK JACKET. YOU HAVE BEEN DETECTED. THE POLICE HAVE BEEN DISPATCHED. LEAVE IMMEDIATELY" "YOUR FACE IS BEING RECORDED IN HIGH DEFINITION"
2 Way Talk Down - Same as One Way, but with a microphone added to the premises. Great for after hours at car dealerships or unattended premises. Sirens - You can activate external sirens to make unwanted visitors leave. Flashing Strobe Lights - You can activate flashing lights to make unwanted visitors leave. For increased protection we highly recommend that ReedHD Smart Camera alerts be sent to our 24/7 Rapid Response Monitoring Stations. A professionally trained live operator will log into your cameras, perform a look-in and decide if a problem exists. We can *talk down to the site to actively deter crime, alert you and dispatch the proper authorities. This is our 15th Homestyles Show and we're launching the latest in high-tech security. CHALLENGE: Dig out your bill from your existing alarm company. We will give you $100 if the cost over 3 years is less than $420. This is what you would pay at Reed Security and is less than HALF of what the other guys charge. PLUS we have Award Winning Next Business Day Service. GO LOCAL! Reed Security can save you up to $849 over 3 years when compared to SaskTel SecurTek and ADT Security. PLUS: You also qualify for a FREE Upgrade to a Simon XTi Interactive Security System (a $100 value) while quantities last.